For a brief time decades ago in the Salinas Valley, farmworkers were in the room where it happened. For those workers, just as for the “young, scrappy, and hungry” Founding Fathers who sing their story in the Broadway musical, being in the room was the path to power. The sledgehammer that broke down the door for the overwhelmingly Mexican and Mexican-American farmworkers in Salinas was the United Farm Workers. Cesar Chavez and the union he founded sparked a movement that spread fast and far beyond the fields. That spark, the chispa, threatened to upend not only the economic equilibrium, but the social structure and fabric of the valley. In 1970, roughly one-third of Salinas’s 60,000 residents were Hispanic; in the smaller agricultural cities farther south in the valley, the percentage was as high as 75. A Spanish surname meant you were half as likely to have graduated from high school and far more likely to live in poverty. Overt racism in housing, jobs, and education was pervasive. 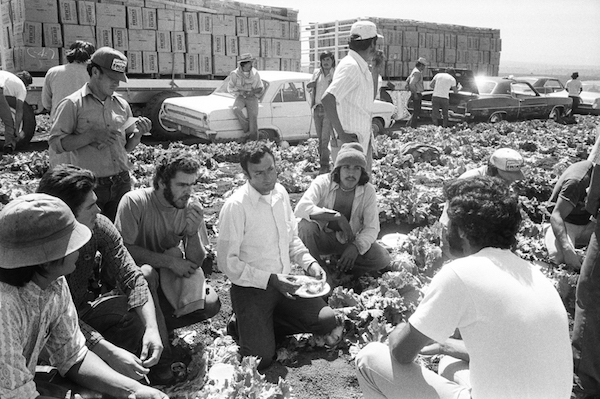 The laborers who tended and harvested vegetables in the Salad Bowl of the World were accustomed to work in teams and more militant than their counterparts in other agricultural areas of California. But until the UFW came along, their only recourse to protest unjust treatment was to withhold labor—and lose their jobs. No health, safety, or labor laws protected farmworkers. They could be fired at will. Then in the summer of 1970, the growers outsmarted themselves. They signed secret sweetheart contracts with the Teamsters Union to preempt Chavez. In response, 5,000 farmworkers joined Chavez’s union and walked out of the fields, shutting down the lettuce industry in the biggest strike of its kind. 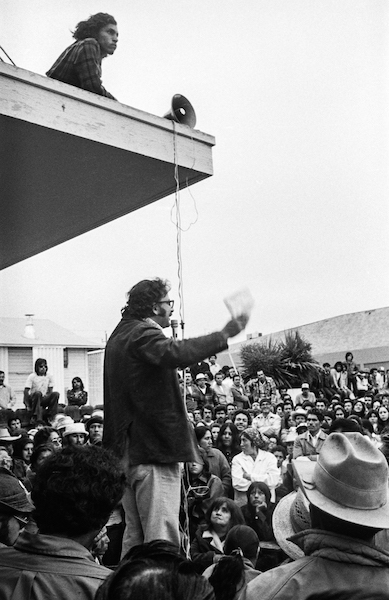 The rise of the UFW in the Salinas Valley ushered in an exhilarating and frightening time, depending on your point of view. In my research on the union, there is one tape I have played over and over to help me viscerally absorb the drama of the high-stakes clash. On the evening of Dec. 6, 1970, Ethel Kennedy went to visit Chavez in the Salinas jail, where he was being held in contempt of court for refusing to call off a lettuce boycott. Robert Kennedy’s widow prayed at a makeshift shrine on the back of a pickup truck, then navigated a tense gauntlet on her short walk to the jail. On one side of the street, leading citizens of Salinas waved signs and chanted “Reds go home” and “Ethel go home.” On the other side, thousands of farmworkers prayed and sang, emboldened and inspired. 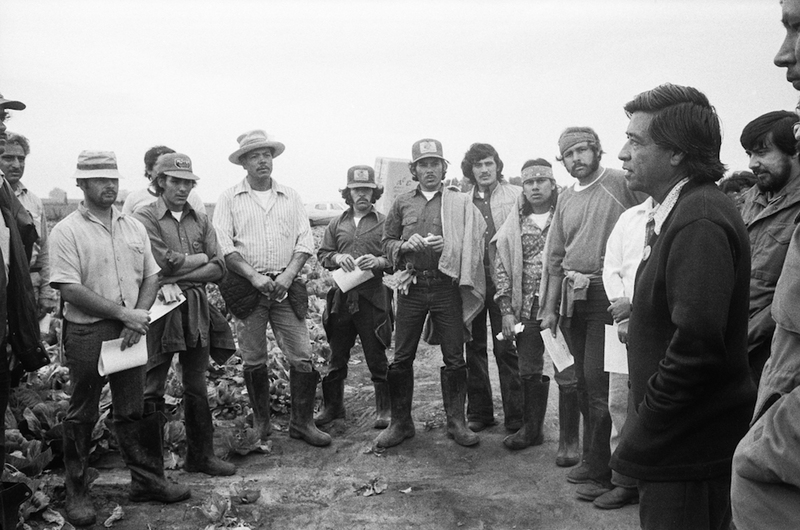 I have listened to veterans of the Salinas fields recount the conditions they endured before the union came along—the back-breaking work, the drugs many took just to keep going, the rage at their inability to control the most basic aspects of their work life, the utter loss of dignity. And then, they were in the room where it happened. Farmworkers sat across the table from their bosses, negotiating a contract. By 1979, the union had negotiated a basic hourly wage of $5.25, and the fastest lettuce cutters could earn $20 an hour. Contracts included a provision that a farmworker at each ranch served as a full-time paid union representative. One Salinas grower recalled how the workers’ elected ranch committee would find reasons to call meetings with management almost every day. After a full day in the fields, workers rushed home, showered and changed, and returned to the office to negotiate. The grower shook his head, grimacing at the memory. Every night, they wanted to talk, he told me in amazement. For hours! The power through justice spread, perhaps most significantly into the schools. Schools that farmworkers saw as the hope for their children. Schools that still too often treated Mexican kids as if they didn’t really need an education because they were just going to work in the fields anyway. Juanita Miranda understood those issues in 1973 when she arrived in Salinas to teach at Sherwood Elementary School, where 80 percent of the more than 800 students were Mexican-American. She was a farmworker kid, too; one of 11 in her family, the first to go to college. At Sherwood, she found no curriculum, scant materials, and only a handful of teachers who spoke Spanish. But after little more than a decade, all that power dissipated. By the mid-1980s, the UFW had lost its strength in the Salinas Valley, largely from self-inflicted wounds. Each year brought new and younger workers, and the lessons of the 1970s faded further away. In 2013, farmworkers picketed the UFW’s Salinas office to protest the firing of a popular union organizer. The UFW called the police and tried to get a court injunction to bar the pickets. Just as the growers used to do. Juanita Miranda taught at several schools and ended her career back at Sherwood. When she returned in 2000, she said, things were worse than when she had first arrived. She found low expectations, ineffective remedial programs, high dropout rates, and an absence of hope. Parents wanted to help their children succeed just as badly as they had decades earlier, but they didn’t know how. Today, the generation of farmworkers that grew up with a sense of its own power has passed into retirement. 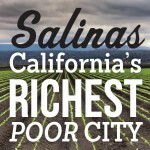 In Salinas, the average age is 29. Homicide is the second-leading cause of death in East Salinas, the most dense and dangerous area of the city. Last year, more than half the students in the Salinas elementary school district were English learners, 80 percent qualified for free lunch, and one-third reported being homeless at some point in the past year. No organization or individual has come along to instill in young people, on a broad scale, a sense of their own power or teach them the resilience to make ¡Sí se puede! more than just a slogan. The jail where Chavez stayed 45 years ago is on the National Register of Historic Places and there are proposals to turn it into a museum; for now the shuttered building stands as a fading testament to another time. Miriam Pawel has written about farmworkers and the UFW for the past decade. She is the author of The Union of Their Dreams – Power, Hope and Struggle in Cesar Chavez’s Farm Worker Movement and The Crusades of Cesar Chavez, the first biography of the union founder.This essay is part of Salinas: California's Richest Poor City, a special project of Zócalo Public Square and The California Wellness Foundation. *Photos courtesy of Mimi Plumb.